■ The cover artwork from Fantasy Flight’s The Lord of the Rings: The Card Game. On September 21st 1937, Bilbo Baggins left his hole in the Shire and set out to make the world a better place. It was on that day, almost exactly 80 years ago, that J.R.R. Tolkien published The Hobbit, the book that established the realm of Middle-earth, invented orcs and hobbits, and cemented fairytale and mythological races and creatures such as elves, goblins, dwarves and dragons in the fantasy genre lexicon – as well as the public consciousness. Never out of print since it debuted eight decades ago, The Hobbit served as the forerunner to Tolkien’s grand masterwork The Lord of the Rings, which massively expanded the world and history of Middle-earth. Tolkien’s revolutionary writing style went on to influence and inspire everything from books and films to games and music (as any Led Zeppelin fan will tell you) both inside and outside of fantasy. 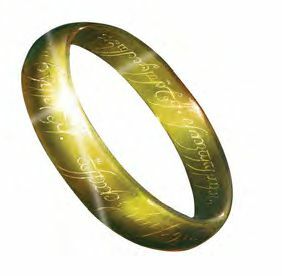 The trilogy has sold more than 150 million copies since The Fellowship of the Ring first hit shelves 1954, making it one of the most popular novels of all time. 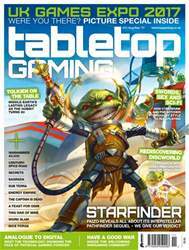 Of course, the tabletop is no exception, with major roleplaying games such as Dungeons & Dragons owing much of their universes to Tolkien’s creations (although D&D co-creator Gary Gyax insisted Lord of the Rings was never a direct influence) and countless board, card and miniature games laying out their fantasy artwork, writing and worlds using the templates formed decades before. “For so many fans of hobby gaming – myself included – Tolkien’s work is incredibly foundational,” observes Nate French, lead designer for The Lord of the Rings: The Card Game. “I read The Hobbit and The Lord of the Rings at a young age, and imagined some of the earliest challenges of my life by thinking about them through the lens of Middle-earth, which helped me to overcome them.